The decision in Boucher v Black & McDonald, 2016 ONSC 7220 (CanLII) touches on several areas of employment law and lends further support to employees seeking to pursue their entitlements prior to and upon termination from the workplace. 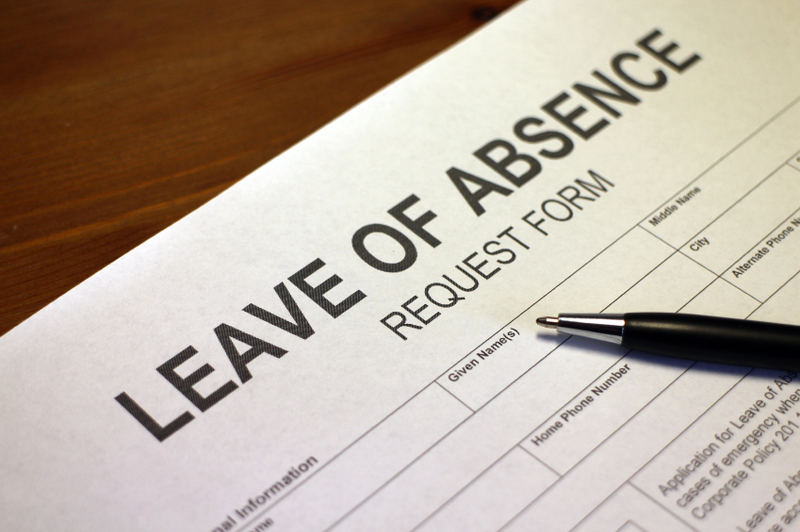 When it comes to extended medical absences and maternity leaves, employees and employers alike should take note of this decision. This was a Small Claims Court decision that was appealed to the Divisional Court. The Plaintiff Employee is 46 years old and was hired at Black & McDonald Ltd. (“B & M”) in December 2008. In June 2010, she went on maternity leave. During the Plaintiff’s maternity leave, she began to develop depression and anxiety. Subsequently, the Plaintiff went on short-term disability (“STD”) leave in June 2011. After her STD benefits expired, she was approved for long-term disability (“LTD”) in October 2011. The proposed return dates to B & M were postponed due to her medical condition. By September 2013, the Plaintiff advised B & M she would return before year end. The insurer agreed she was no longer disabled and a graduated return was proposed. By October 8, 2013, B & M was advised she would return the week of November 11, 2013, after hernia surgery. The Deputy Judge found she was able to return by November 11, 2013. On October 31, 2013, the Plaintiff was terminated due to her “absence of several months”. During the scheduling of return to work dates, and without advising the insurer or the Plaintiff, B & M hired a new employee to permanently fill her job on March 25, 2013. At trial, the Plaintiff successfully argued that she was wrongfully dismissed. Specifically, it was found that her employer could not argue her employment was frustrated, which would disentitle her to reasonable notice. The Court found that the Plaintiff was going to return to work and there was no evidence to suggest she would not be able to return to work or perform her duties. The Court even went further to say that the disability insurance benefits the Plaintiff received should not be deducted from any damages owed to her from her employer. With respect to the disability argument, the Court found that the employer failed in their duty to accommodate by quickly hiring an employee to fill the Plaintiff’s position and that her termination was on the basis of disability, which is in violation of the Ontario Human Rights Code. B & M appealed this decision to the Divisional Court. The Divisional Court found in favour of the Plaintiff on all issues, rejecting all of B & M’s arguments. On the first issue, the Divisional Court found that B & M did not fulfil its duty to accommodate. B & M did not keep any record of accommodation attempts or discussions to find alternative solutions. B & M’s only rationale for hiring the replacement employee was one of “business necessity”. The Divisional Court agreed with the Deputy Judge that the contract was not frustrated. Secondly, B & M argued that in awarding the wrongful dismissal damages, the Deputy Judge failed to take into account the seven weeks of disability benefits paid to the Plaintiff due to her hernia surgery which coincided with the notice period assessed by the Small Claims court. The Divisional Court found in favour of the Plaintiff on this point by noting the Plaintiff’s employment contract did not provide for disability benefits being deducted from an award of damage, nor did the employer pay the benefits or pay the benefit premiums. Finally, on the third issue, the Divisional Court found there was no error in the Deputy Judge’s assessment of costs. The Deputy Judge awarded the Plaintiff $11,500.00 in costs which is quite a significant award for Small Claims Court where there are seldom large costs awards. The doctrine of frustration of contract continues to be a difficult one for employers to navigate – when is an employer relieved from their obligation to hold a job for an employee on leave? In other words, how long do employers have to wait before they can legally ‘move on’? This decision, although it does not provide an equation to help answer this question, still provides some useful take-aways. For instance, two years is not “too long” for an employer to wait and secondly, the employee should have been able to return to their job after their absence from the work place. In addition, when an employer is aware of an employee’s intention to return to the workplace, ‘moving on’ from this employee can result in a finding that the employee’s human rights were violated. It should be noted that these issues are fact-specific. Although the Divisional Court did not provide an analysis on the Plaintiff’s job duties, it may have been open to the employer to conclude the employment contract was frustrated in the event the Plaintiff held a senior managerial role, thereby causing the employer severe difficulty in conducting their business in her absence. All in all, this is a good decision that clearly reiterates the jurisprudence surrounding frustration of contract, discriminatory termination on the basis of disability, and the offset of long-term disability benefits. These issues are fact-specific and require legal analysis. It is important to know your rights and the best way to navigate these situations as both an employee and employer. To make sure you receive the appropriate guidance, contact an employment lawyer. To arrange for your free confidential 30 minute phone consultation make sure to contact us today.